Kenneth Michael Hair Studio is an established reinvention focusing on a distinct level of service and quality. Where passion, education and talent allow us to offer a premium experience for all our clients. Jason Kenneth Michael - Master Stylist and Owner at Kenneth Michael Hair Studio brings 15+ years of professional experience as a stylist and 30+ years of being immersed in the hair industry. Jason specializes in women’s colours, balayage, babylites and root colour melts. Jason enjoys applying precision Vidal Sassoon cutting techniques to his work and is extremely fast. Jason is a skilled barber who specializes in efficient barbering getting clients in and out of the studio within 20 min. Even with extensive training under a world champion Jason continues to attend classes to learn new skills and techniques. If you're looking for keratin treatments or extensions Jason offers a free consultation. Hairstylist & Makeup Artist Specializing in balayage & I-Tip extensions. Exceptional blonde work and ultra rich browns set Alanna apart from other stylists. Alanna has been in the industry for 5 years and has a passion for continuing her education to stay on-top of the latest trends & techniques. Her favourite part about being a stylist is forming a lasting relationship with her clients and seeing them leave the salon feeling amazing. Alanna is also a MEMBER of the Kenneth Michael Mobile Team for all your wedding OR special event hair & makeup needs. A professional in the industry for 5 years. Mercedes is a Hairstylist & Makeup Artist proficient in balayage, vivid colour work & i-Tip extension services. 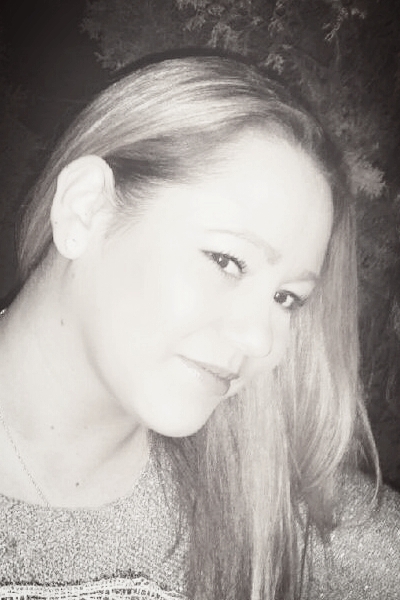 Mercedes enjoys attending classes to constantly learn and apply new skills and services to take back to the salon. Her favourite part about being a stylist is getting to know new clients and making them feel great about themselves, inside and out. MERCEDES IS a MEMBER of the Kenneth Michael Mobile Team for all your wedding OR special event hair & makeup needs. SUCCESSFULLY WORKING IN THE HAIR INDUSTRY FOR THE PAST 15 YEARS AND COMES BY IT HONESTLY AS HER MOM IS ALSO A PASSIONATE STYLIST. CHANTAL DOESN'T SHY AWAY FROM THE CHALLENGE OF USING BOLD COLOURS BUT ALSO ENJOYS SOFTER BLONDS AND EVERYTHING IN-BETWEEN. HER EXPERIENCE SHOWS IN HER WORK AND CUSTOMER SATISFACTION. To book an appointment or for any inquiries, please fill out the provided form.